Seashell is rated for light traffic floors only. 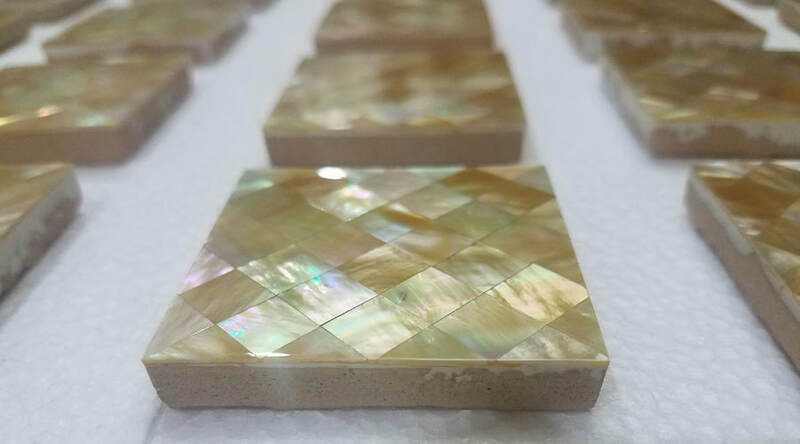 The seamless seashell may be overlaid onto porcelain, fiberglass board or aluminum to create a tile, listello or border for inset. 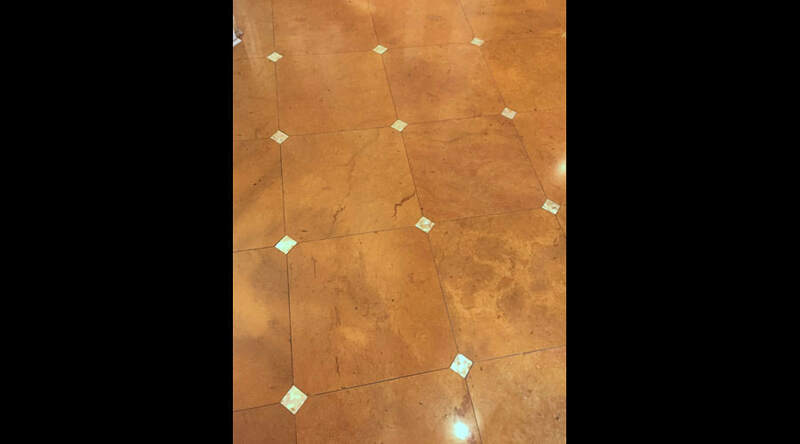 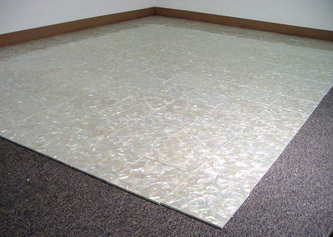 The tile size is per the customers' choice. 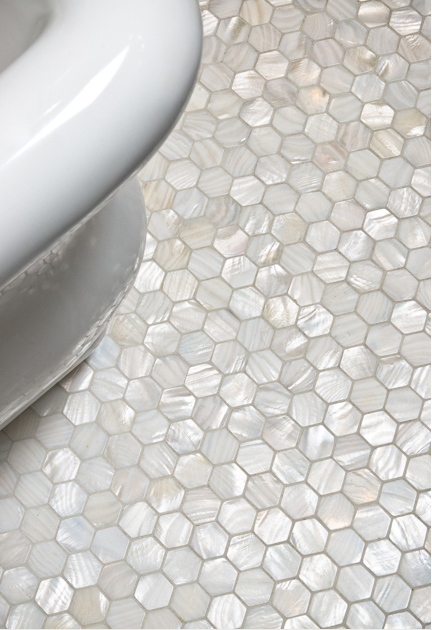 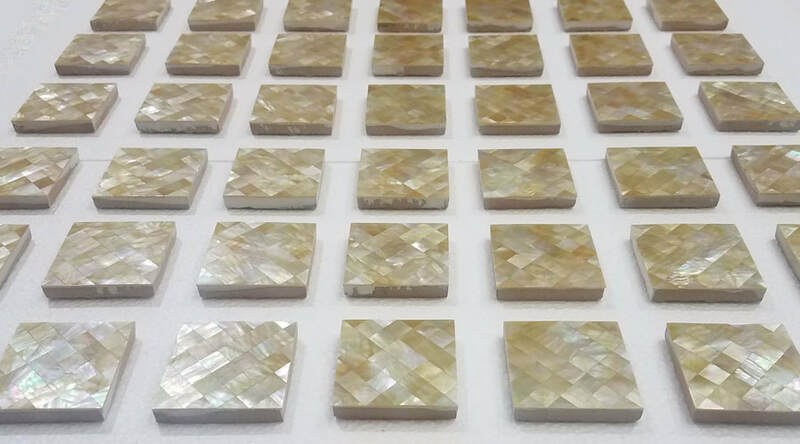 Seashell mosaic with joint may also be used for light traffic floors and inserts as desired.